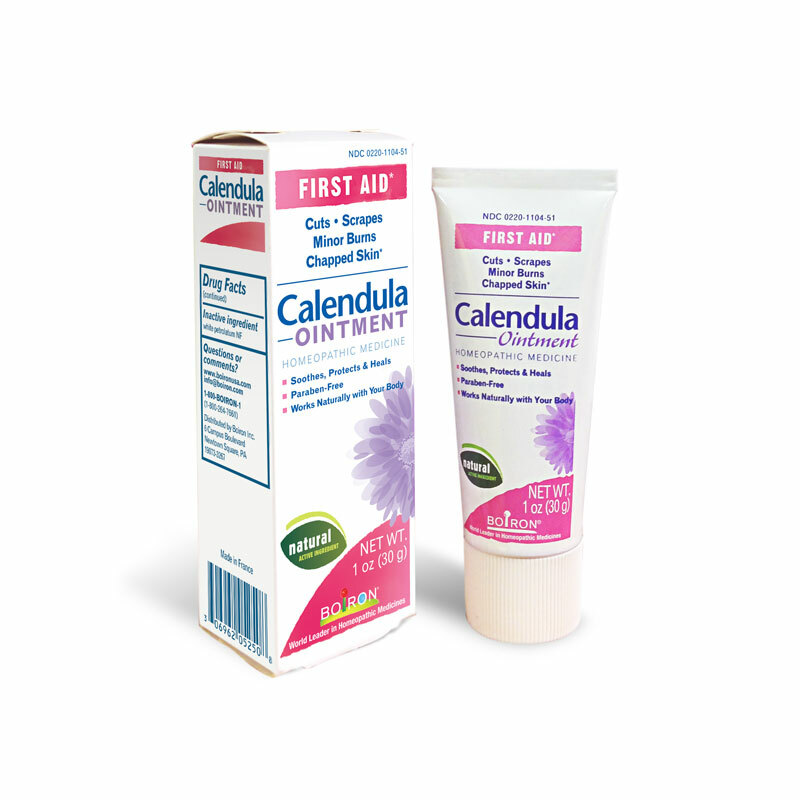 The heavier Calendula Ointment is designed to promote healing by moisturizing the irritation. Its formula adheres to skin longer to maintain contact between the affected area and the healing agent for optimal healing. Try it on minor first degree burns, blisters, chafing, cuts, scrapes or cracked heels. It’s also great for chapped hands and lips, as well as nasal irritations from colds. For minor cuts, scrapes and chapped skin, first cleanse the area with mild soap, rinse and dry. Calendula Ointment is available in a 1.0 oz tube.